I want to populate the Country, State and City dropdownlist. 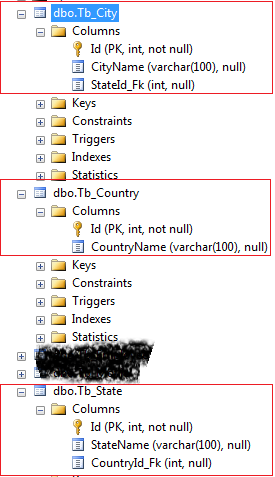 I have created three tables Tb_Country, Tb_State and Tb_City. <td> <asp:DropDownList ID="ddlcountry" runat="server" AutoPostBack="true"
Write a method to bind the country dropdownlist and call it in page load event. In this article we have learn to how to populate the cascading dropdownlist using linq to sql (C#, VB.net). I hope you enjoyed this article.